Insurance companies and banks are well aware of the information IoT devices can provide. My first “real” job was serving as an attorney at an insurance defense firm. You spend hours arguing why $75,000 is more than adequate to cover the loss of three toes and a broken tibia. One of the partners noticed I seemed glum so he told me to go read the names atop nearby buildings. A lot of them were our clients. We may see the same phenomenon in IoT. Everyone understands the astounding economic and social benefits of harvesting and exploiting machine data by now. IoT will help reduce emissions, accelerate the spread of wind, and make dangerous jobs safer. A big data IoT app could even help you find a parking space. The big question now is how this revolution will take place. 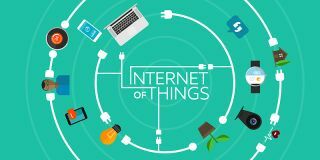 Will IoT platforms come from one company or be composed of technologies from multiple vendors? (Hint: I think it will be multiple). Will we see data marketplaces where companies exchange data anonymously to tune algorithms? (Yes). And the biggest question of all: will we see the emergence of equipment-as-a-service business models? Jet engines as a service! Gravel and tar as a service! Why buy carpet when you can subscribe to a service that will cost more over the long run and make it more difficult to sell your building? It’s a great concept, but there are hurdles. You’ll even see new policies. CNA Hardy, which issues cybersecurity risk policies, offers up to a 30% discount on policy premiums when industrial customers integrate unidirectional diodes from Waterfall Security Solutions, according to Waterfall CEO Lior Frenkel. A unidirectional diode is like a data faucet: information flows out but you can’t go the other way. They are used on oil platforms and other critical facilities to funnel data to the corporate network while minimizing ports of entry. Cyber insurance is expected to become a $4.1 billion business by 2020. Banks will follow a similar path, muses Eric Goodness at Gartner. Manufacturers of railroad cars are intrigued by the “as a service” model, but don’t want to carry the car on their books for years. Banks, conceivably, could buy them through a subsidiary, offer manufacturers with an ongoing maintenance contract, and then lease it out to an end-user. Besides giving the bank and the manufacturer constant revenue streams, the deal gives the bank a front row seat to the daily flow of interstate and international commerce. It could funnel this information to its trading desk. Alternatively, it could bundle it, anonymize it and then sell it along with analytics services to other banks. Granted, there will be missteps along the way. In the UK, critics are already arguing that facial recognition is both an invasion of privacy and not very effective or accurate. Will companies push back against the demands of banks and force them to buy their data? Information compensation will be a big issue. Still, I don’t see major roadblocks. In some ways you can analogize this to the evolution of cloud computing providers. If you look back to the late 1990s/early 2000s, the first cloud-like concept to gain popularity was peer-to-peer computing. The vast majority of processor cycles and a huge amount of storage go to waste, the theory went. By creating virtual networks that pooled fallow resources, companies could reduce their costs and increase their overall computing power at the same time. Investment bankers and analysts went bonkers for the idea. But reality hit. Companies didn’t warm to the idea of virtual networks. Performance could be iffy. Security problems loomed. Into the vacuum entered a company that (1) had no choice but to invest in massive amounts of hardware and (2) figured it might as well try to make some extra money on the side. By combining its reputation for innovation and relentless performance in IT with absolutely asinine amounts of extra money, Amazon entered a glamorous new phase with AWS. The same factors are in play here. IoT represents a truly monumental economic opportunity. But it also comes with risks. Insurance companies may not be on the cutting edge of technology, but they certainly understand the value of good information.